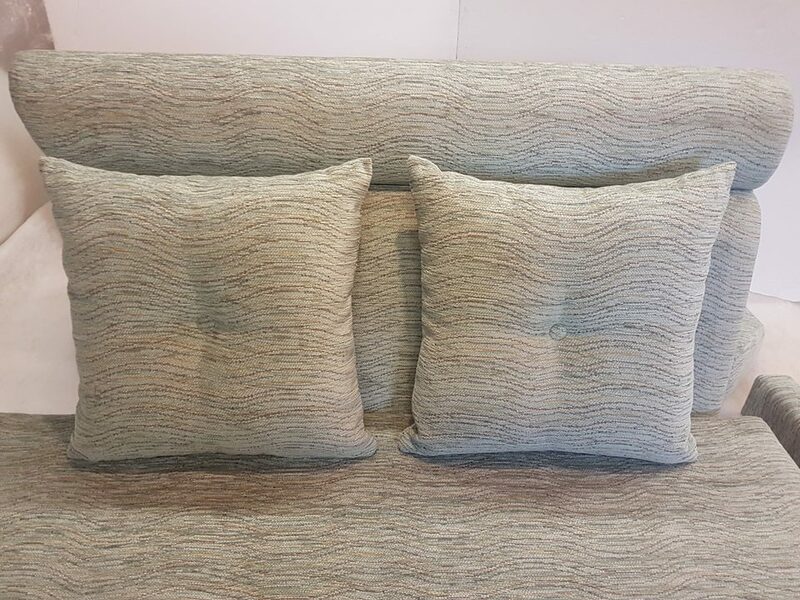 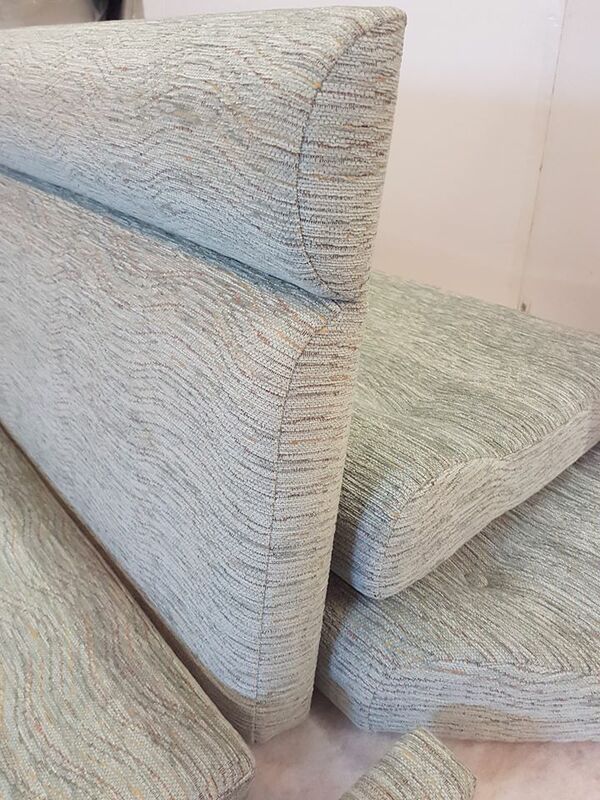 We then covered the cushions in a chenille fabric, which the customer had chosen out of one of our pattern books. 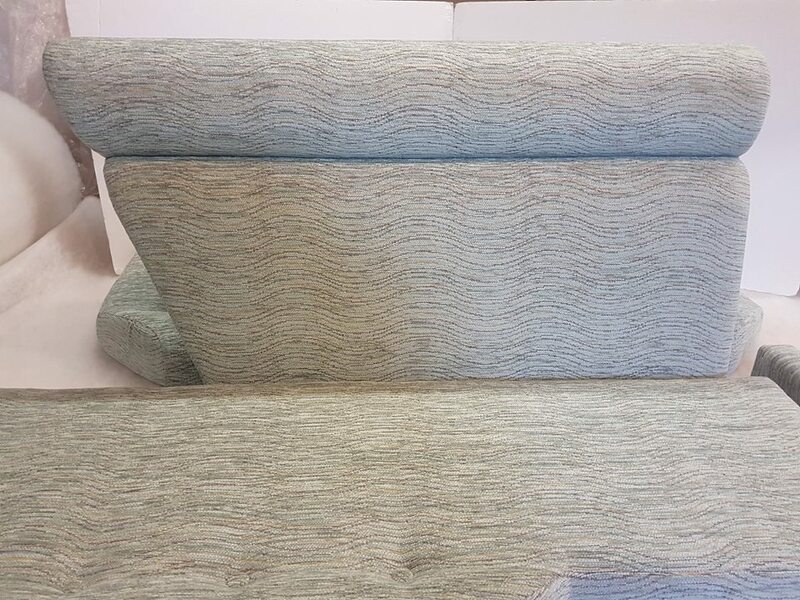 Once the covers were fitted we finished off by putting buttons behind the knee roll to hold everything correctly in place. 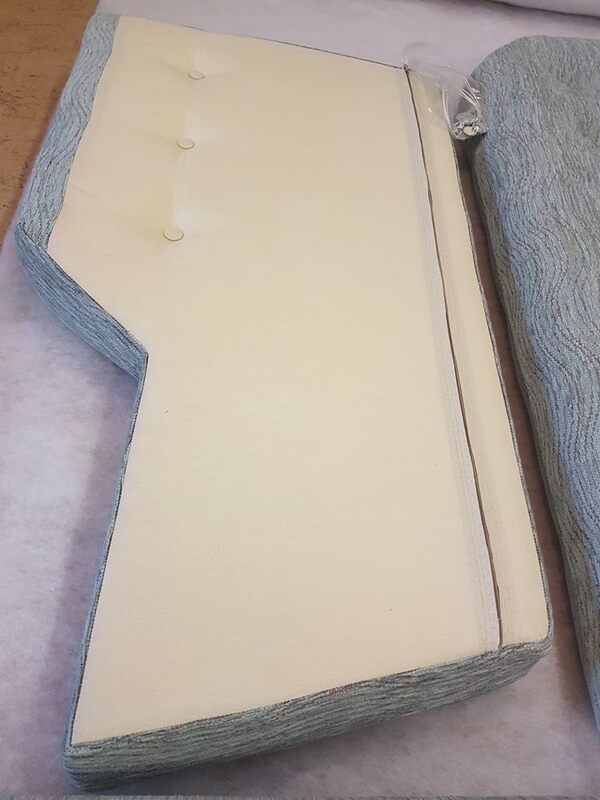 For the seat cushions we used a breathable under lining fabric for the bottoms fitting the zip in that location. 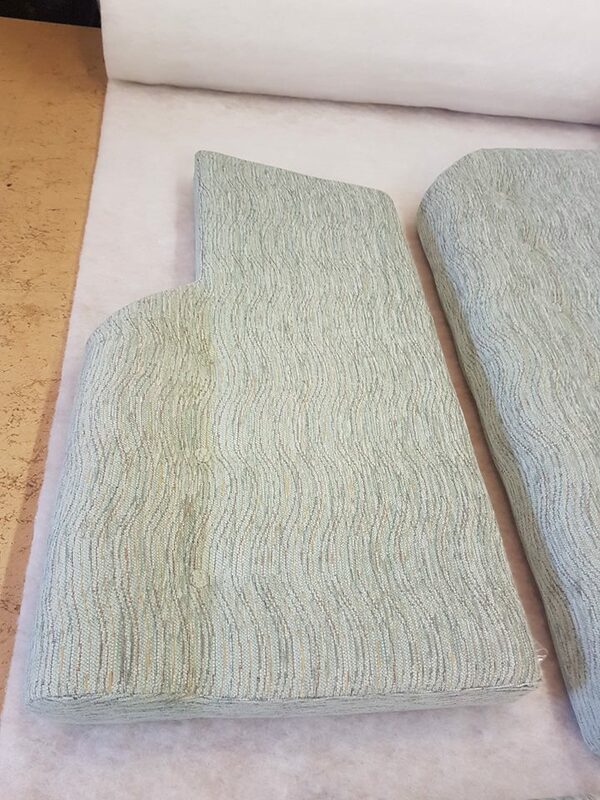 All seams were plain sewing. 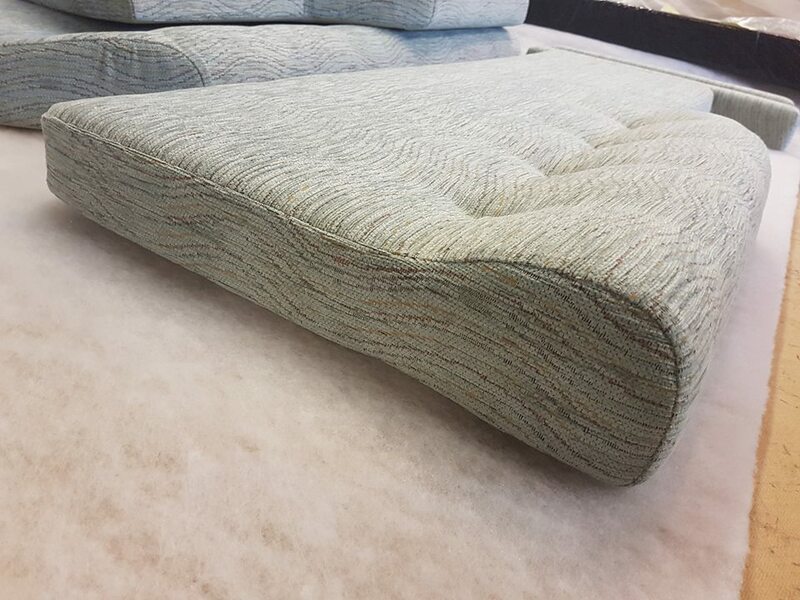 The backs were upholstered to the boards, again using a good quality foam, making up the profile detail. 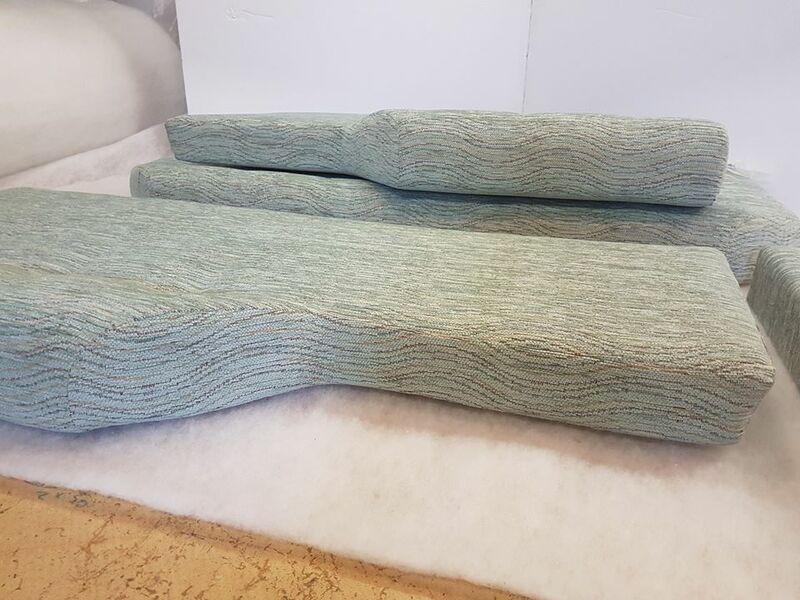 Covers were then machined up and fitted to the boards, as the customer had some spare fabric left over we used this for making some matching scatter cushions.